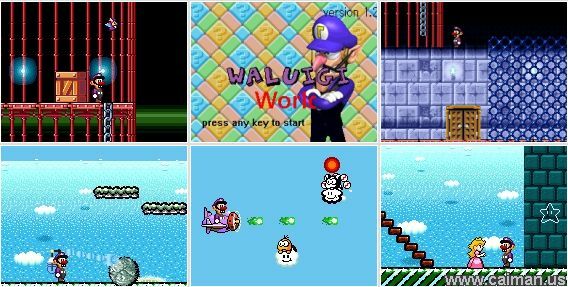 Caiman free games: Waluigi World by Mariomeha - Angry Hippo Games. A very good and nice Mario platformer with puzzle elements! 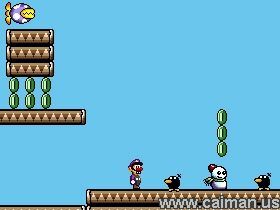 Unless the graphics let us think on the typical Super Mario games, the gameplay is rather unique. You haven't to jump on the enemies head but to avoid them (or destroy them when you found a weapon). 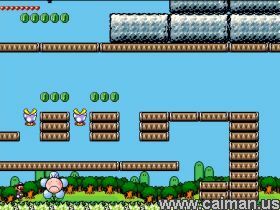 The game contains many puzzle elements which make this game great. Arrows = move, climb, etc..
Mario Quest 2: Sonic Re.